Ques. A patient is treated at home for fever. 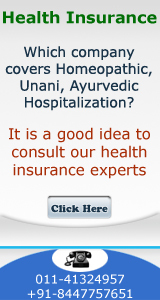 Are the fever treatment bills payable by the Insurance Company? If family doctor or consultant doctor does the treatment of the fever at home then it is not to be paid by the Insurance Company.If due to critical state of the patient or due to epidemic the patient is admitted in a hospital then the claim is payable provided 24 hours hospitalization condition is met. Due to accident a person is treated in a hospital and bandage/plaster is put. He is discharged after 3 hours. Is the treatment cost payable by the Insurance Company? Ques. Is the maternity expense/hospital bill payable by the Insurance Company? It is subject to the policy condition.In most of theindividual/family policies it is not included. In some of the group Mediclaim policies it is covered and is clearly mentioned. Generally where payable this specific claim is payable in second year of the policy. In exceptional cases In-Group Mediclaim it is covered from the beginning as the corporate buyer has negotiated the policy by paying the suitable incremental premium for availing the benefit. You should read the condition in the policy document carefully. Ques. A lady is covered for maternity cover. Gynecologist has advised her to go in for Ultrasound test. Is the claim payable? Ans. No, it is not payable, as 24 hours hospitalization condition is not met. Ques. What is day surgery? Is it payable? Day Surgery is the surgery where patient need not spend the night in hospital and is discharged after few hours. List of the day surgeries covered under Mediclaim policy of Cholamandalam is appearing in this book. They have the most elaborate list. Other Insurance Co's have shorter list and it appears in the policy document. Ques. My credit card gives Mediclaim policy? Should I go for it? Mediclaim policy is purchased by the credit card company. It is infact a group Mediclaim policy with certain additions/deletions which are agreed with Insurance Company. In the cases of Royal Sundram policy being sold by SBI credit card you get No claim bonus of 5%. No claim bonus which you get is 15% if you go for direct policy from Royal Sundaram. Ques. Is it true that PSU's offer the lowest rates for Mediclaim? For a specific age one Insurance company may be lower and for some other age another one may be lower. The best way is that you calculate the premium payable on the basis of all family members. From the following comparison you will notice that Royal Sundaram is economical for this family versus other companies. 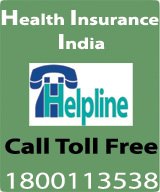 Medical examination cost of all that are to be insured is to be done at nominated clinic at company cost. Those who are going in for this product need not go in for routine medical tests at their own cost. Ques. TPA & Insurance company have disallowed my claim. What is the option available for me? You can take up the matter with head office of the insurance company. If not satisfied with their decision you can take up the matter with Insurance Ombudsmen in your area. List is given in this book. If not satisfied with their decision then you can lodge case with consumer forum at district level. List of Insurance ombudsmen is attached. Underwent surgery for a retinal tear and was in hospital only for a couple of hours. Can my claim be rejected on the ground that i was not hospitalised for a minimum of 24 hours ? No, your claim cannot be rejected on this ground since the "24 hours" condition does not apply to certain surgical procedures - those that don't require extended hospitalisation. Five years such I had by pass surgery. Four years back /Insurance policy issued & preexisting diseases was mentioned as an exclusion. It is correct that this will not be mentioned in next year policy as I have completed 4 claim five year. Ques. It is correct that Insurance Company will pay for my tests 4 years of claim free.